I love LibraryTrac and am glad to see you continually adding new components to the product. A calendar system that allows you to track your events, including when the library is closed for certain reasons. There is a private viewing hyperlink that can be shared with teachers so that they can view the library calendar, as well as sign themselves up to use the library. Additionally, you can create custom categories/locations for your calendar. For example, if you have a computer lab that teachers wish to sign up to use you can create a category called "Computer Lab", then they can use the private viewing hyperlink to sign up externally for the use. Private/Remote Access: Staff can remotely sign-up to use the library or other locations in a building (such as computer lab). Categories/Locations: Organize events by category or location for easy identifcation of openings. Calendar/Schedule Layout: Do you have a unique schedule such as A/B Days or a 5 day rotation? 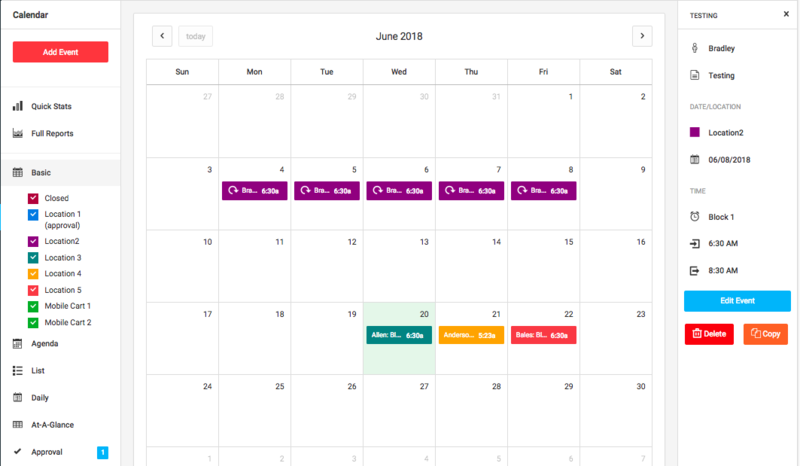 Customize your calendar layout with colors and labels so that staff can easily identify the day type they are signing up for in advance. 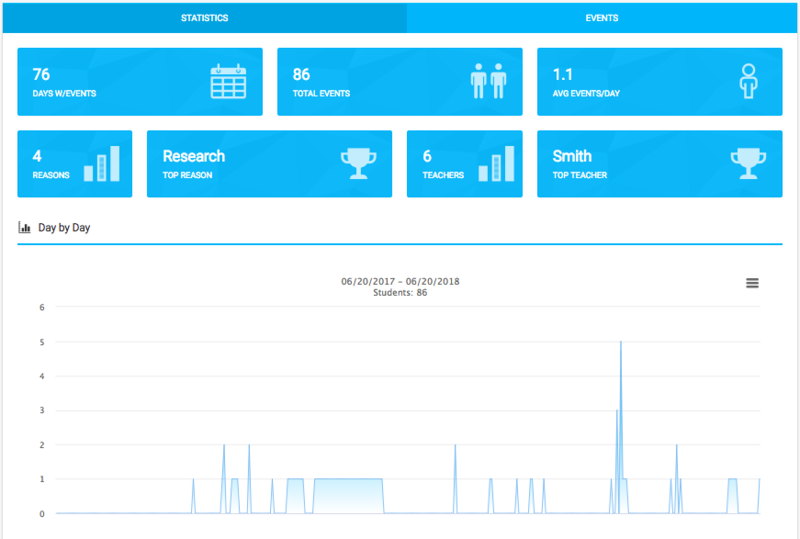 Run custom reports based on schedule, reason, teacher, and much more to help you instantly tabulate your collected data. +$75 per account / school year. This is additional pricing on top of the Student Log. Looking to use the Calendar as a stand-alone item? $150 per account / school year.